It's fair to say the Internet of Things (IoT) era is officially upon us. IoT has morphed from analysts' favorite buzzword or buzz-acronym into a full-blown revolution. Just look at national homebuilder Lennar's decision to partner with Amazon to include the full suite of 'smart home' technology into its model homes in California. IoT devices and sensors like video doorbells, speakers and the Echo run by Amazon's virtual assistant, Alexa, will power the smart home experience. (Source: MSN). While consumers are psyched about the promise of IoT in terms of greater convenience and the 'cool factor,' the real power behind IoT will come from its transformative ability for businesses. In fact, IDC estimates more than 80 percent of IoT spend through 2020 will be on B2B applications and use cases. IoT deployments promise productivity gains around efficient operations, more customized customer experiences, and improvement to logistics and supply chains. 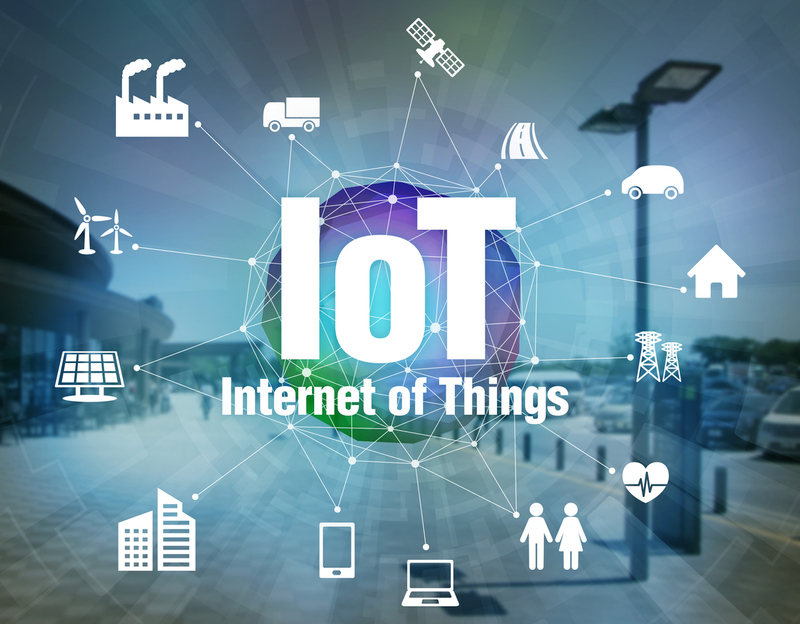 At its core, B2B IoT is all about connecting devices and collecting data to drive the integration between key business technologies and using this information in real-time to make smarter decisions. These network-enabled devices are embedded with electronics, software, sensors, and network connectivity, which allows these objects to collect and exchange data. While most agree that this vision for IoT has the power to transform businesses in nearly every vertical, turning that vision into reality is anything but simple. A winning IoT strategy requires integrations between all of these devices and sensors, along with having pervasive network capacity, computing power, storage capacity, networking visibility, and analytics capabilities to obtain business insights. For most businesses, building and launching an effective IoT strategy will require focus and in most cases support for MSPs, partners, and system integrators to help put the pieces together. Let's look at how the partner ecosystem can help you deliver on your IoT vision in a productive and predictable way. Enhanced network connectivity – With an anticipated 25 billion (or more) connected devices expected to be online by 2020, it's no surprise that carriers and organizations will need to beef up their network capacity to keep these devices 'talking.' Not only that, a converged network that includes voice, data, wired, and wireless is needed because of its ability to deliver greater interoperability and support for IoT applications and devices. These devices will need to be network-connected over Wi-Fi and cellular networks, as well as internally within the enterprise on wired or wireless LANs or software-defined wireless networks (SD-WAN). Software-defined wireless networks are an attractive option because they can bring greater security, management, and data analytics capabilities to any IoT initiative. Businesses also need a robust and agile network infrastructure to ensure they have consistent network connectivity to keep connections 'always on'. 4G LTE modems with cloud-based management capabilities that support Ethernet and Wi-Fi connectivity options can maximize uptime and provide higher reliability and efficient management. Greater network visibility – While low energy Bluetooth, WLANs, and SD-WAN are the primary pillars of the next-generation IoT network infrastructure, improved network visibility is also critical to powering IoT activities. IT teams need to control which IoT devices are connected to Wi-Fi and to determine how much bandwidth they are consuming. Sophisticated network management and network monitoring tools can help users see which devices are connected, where they're collecting and sharing information, and help them determine their bandwidth requirements. Predictive analytics – When you get down to it, the value prop behind IoT is that data collected across the enterprise – including data from the network, IoT sensors, and other machines – can unlock critical business insights for an organization. This is where IoT predictive analytics tools, and complementary technology like machine learning and AI, come into play. AI can help filter these massive data sets to deliver intelligent business insights that are more accessible and ready-to-implement. Data analytics software should give business the ability to collect information from devices and IoT sensors and quickly interpret the data to develop new data models. Visualization of IoT data with graphics and innovative dashboards are also useful options for IoT analytics packages. Because IoT is multi-faceted and involves so many diverse components across the enterprise, companies in nearly every vertical, from retail and healthcare to manufacturing and energy services, can benefit from the guidance and expertise of partners and specialized managed service providers to help orchestrate and execute their IoT strategies. With a strategic IoT plan in place and the right partner, businesses can capture the largest IoT ROI, transforming raw big data assets into game-changing business intelligence.